Ahoy! 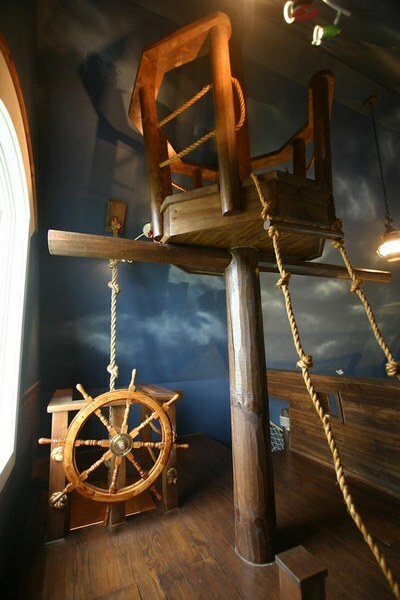 Thinking about a pirate nursery theme? 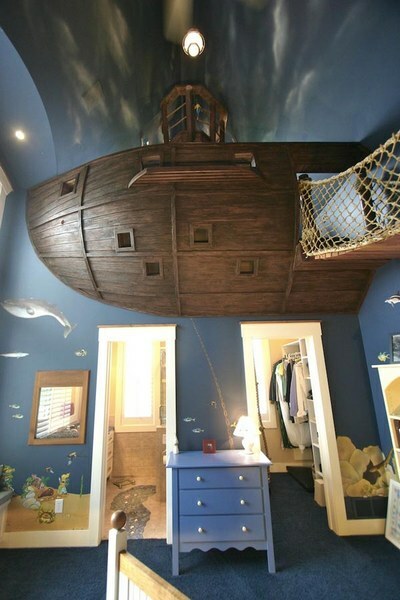 What parent hasn’t flirted with the idea of a theme for their child’s bedroom? An under-the-sea feel perhaps, with a mural? A princess castle with a four-poster bed, lots of flounces and fairy lights? Or maybe a jungle complete with a tree house bed? 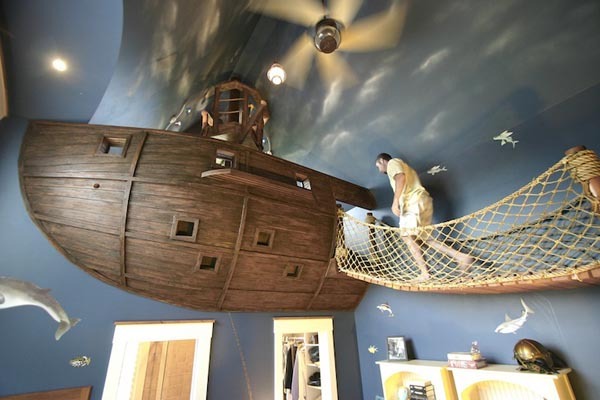 Well, check out this pirate themed room. In fact ‘theme’ doesn’t do it justice – this room is a major production. 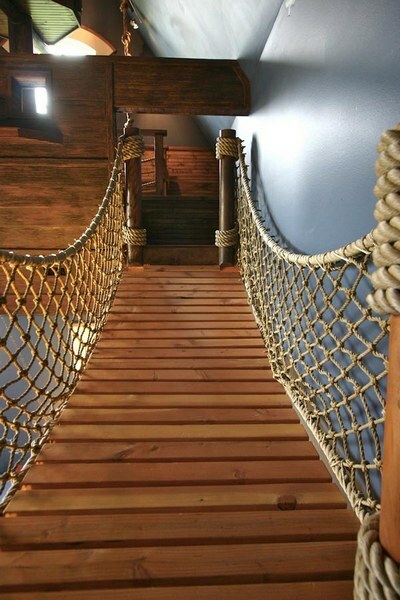 Designer Steve Kuhl’s pirate bedroom is nothing short of astounding. 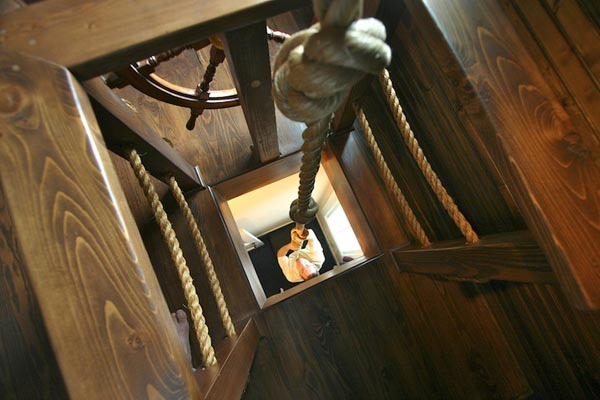 The hull of an ‘ancient’ ship, a crow’s nest, a wooden bridge and a climbing rope are all included but it is the scale of the pieces that are truly jaw-dropping. The soaring ceiling, the expanse of the bridge and the superb (but not overdone) mural of sea creatures and the sky are extraordinary. The real fun begins with the room’s entry and exit points. 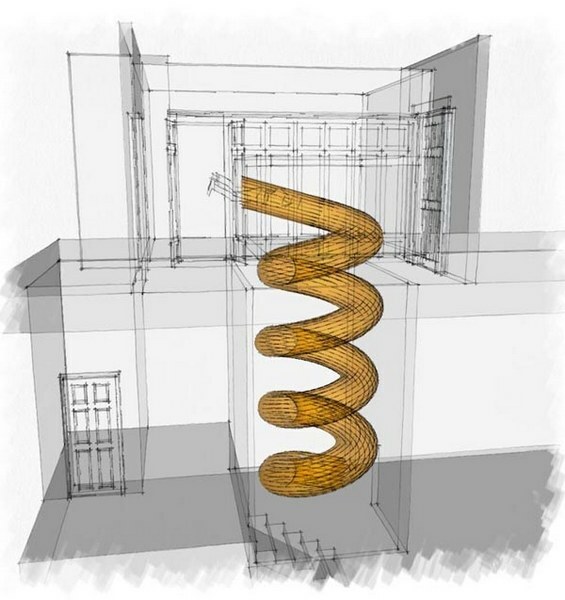 The room is accessed via a hole in the wall on the floor above – zip down a curvy slide and land in another world. If sliding is not your thing, there is also access via a jail cell style custom steel door.